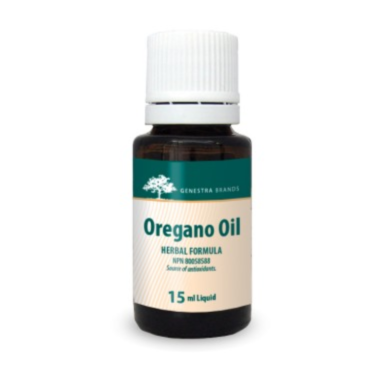 Oregano Oil naturally contains carvacrol, and is one of the primary bioactive compounds in oregano. In addition to being responsible for the warm mouthfeel after oregano consumption, carvacrol exerts strong antioxidant effects. 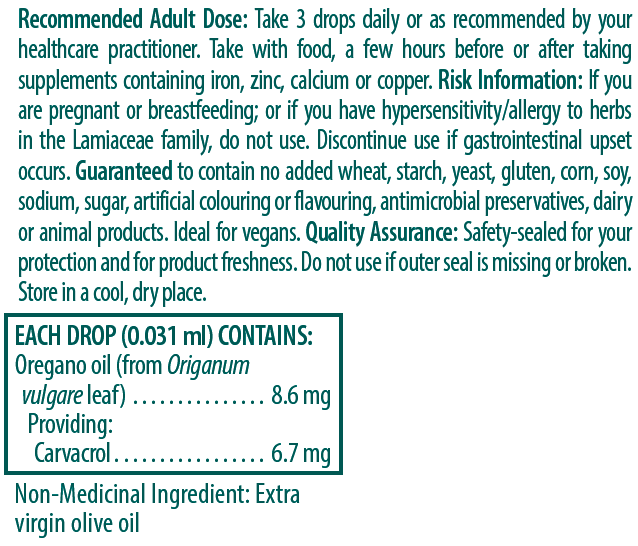 Each drop of Genestra Oregano Oil contains 8.6 mg of oregano oil providing 6.7 mg of carvacrol.